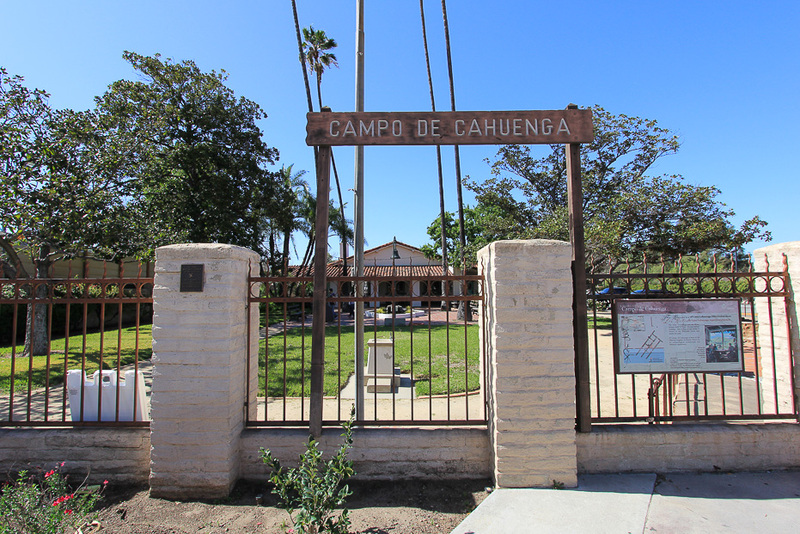 March 7, 2015 - Today's adventure brought us to Studio City to visit the Campo de Cahuenga. 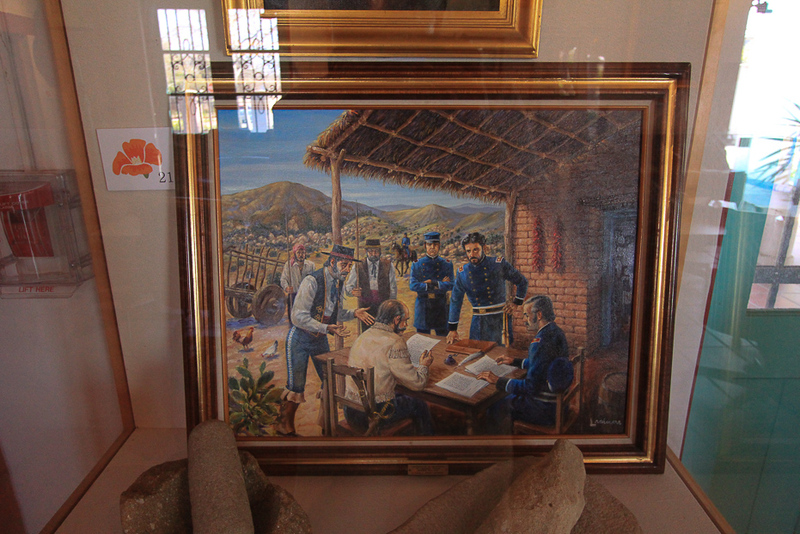 The Treaty of Cahuenga, also called the "Capitulation of Cahuenga," ended the fighting of the Mexican-American War in Alta California. 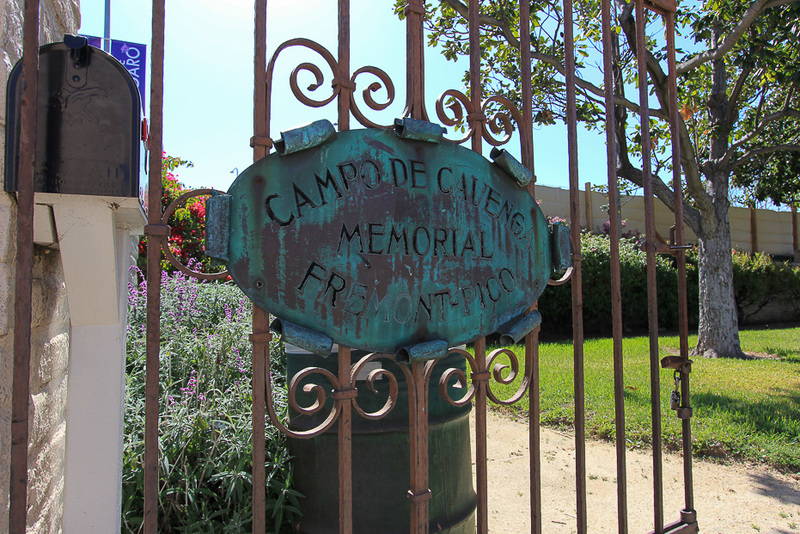 On January 13, 1847 the treaty signed by Mexican General Andrés Pico and American Lieutenant Colonel John C. Fremont marked the birth of American California as we now know it. 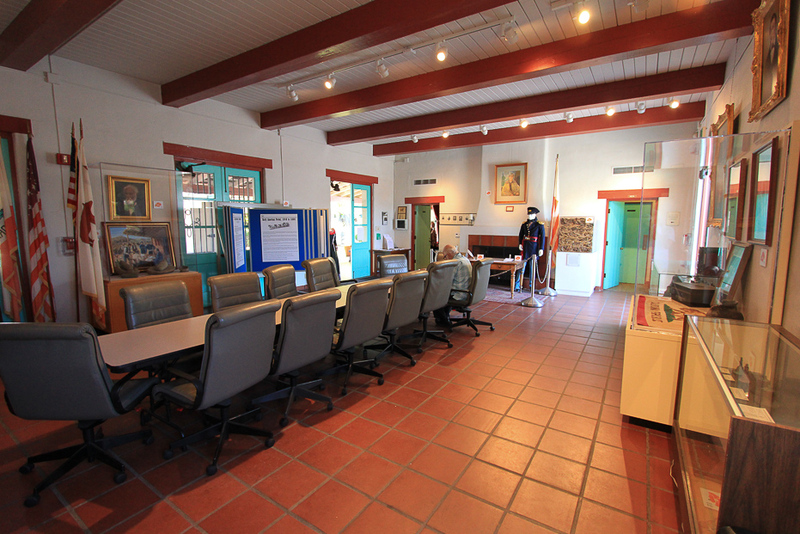 This adobe replica of the original building was built in 1950. 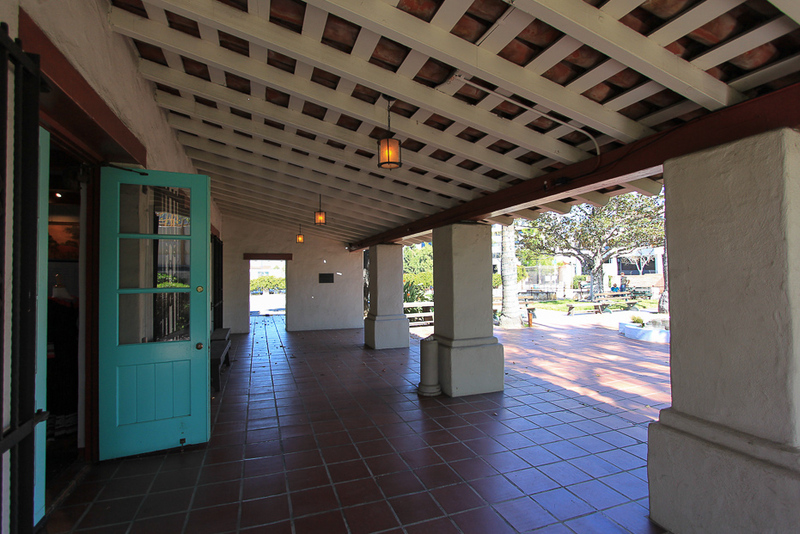 Fremont and Pico signed the treaty on the porch of the original building. 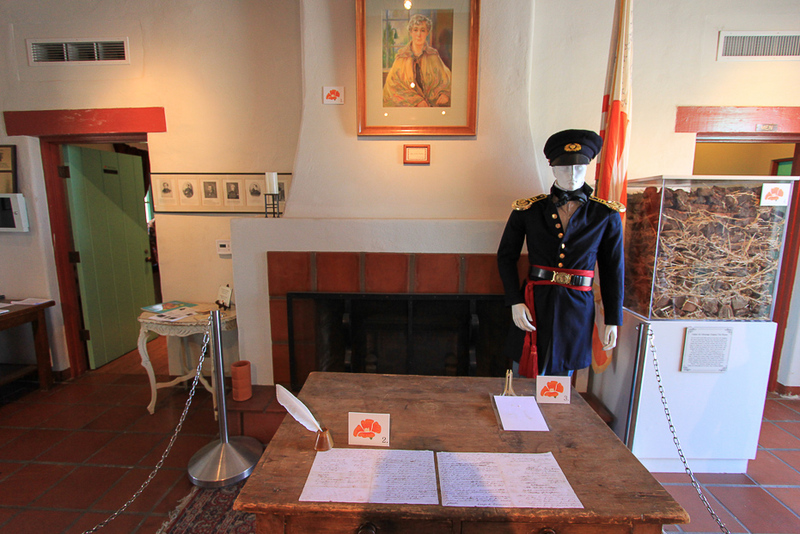 Donna Bernarda Ruiz, a Californio widow living in Santa Barbara, initiated the treaty negotiations. 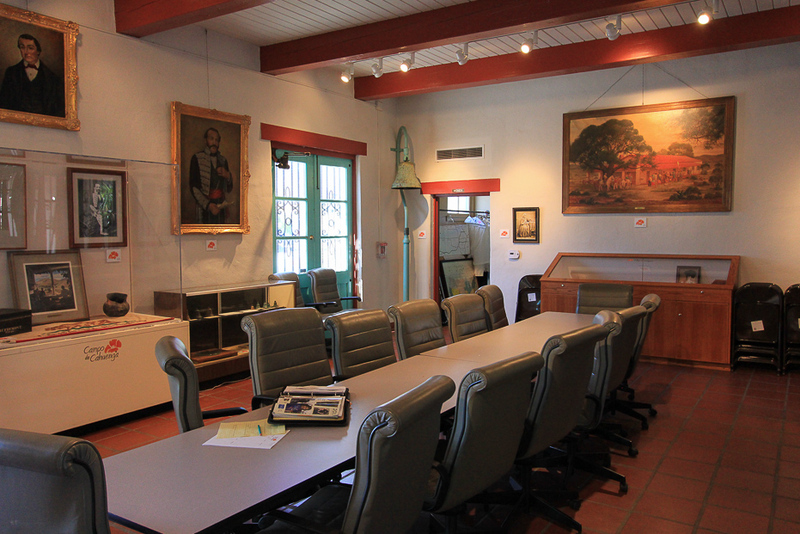 The adobe museum contains many original artifacts as well as some paintings of the individuals who played a role in the treaty and the adobe's reconstruction. 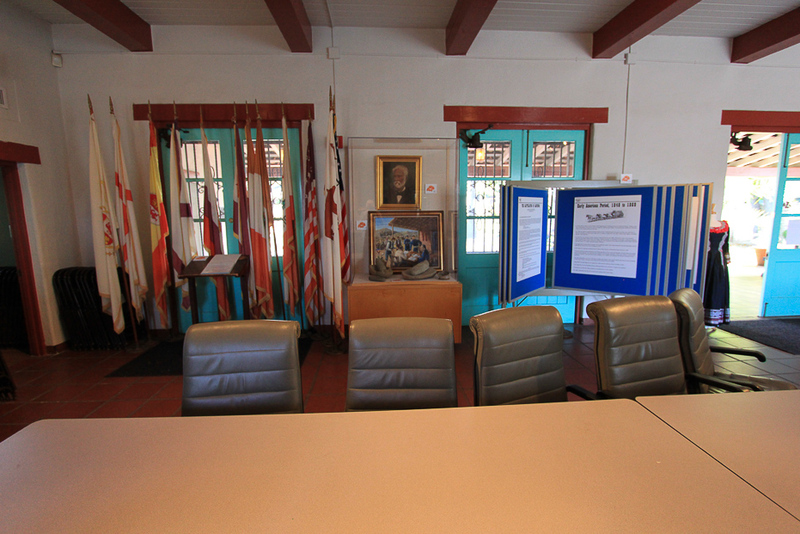 Replicas of the treaty, in Spanish and English, lie on the table. 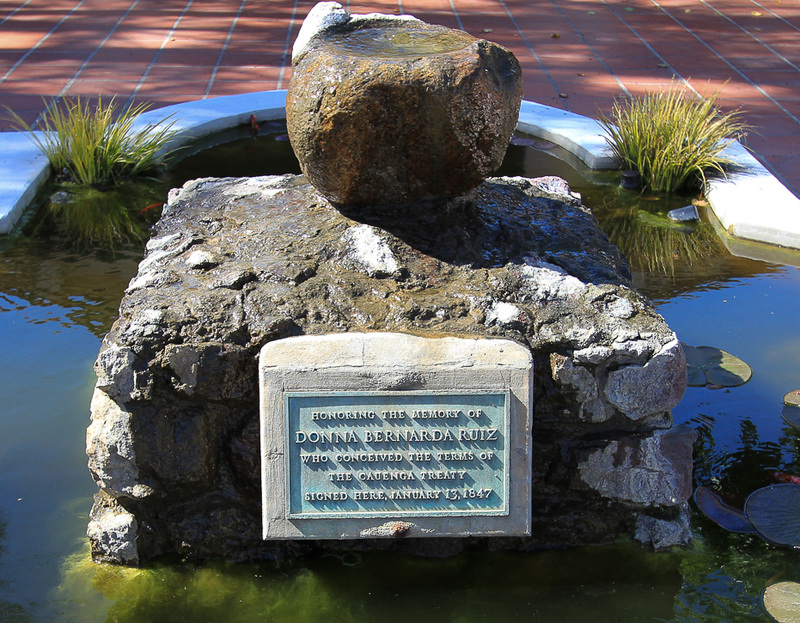 The original treaty is in the Bancroft Library at the University of California, Berkeley. 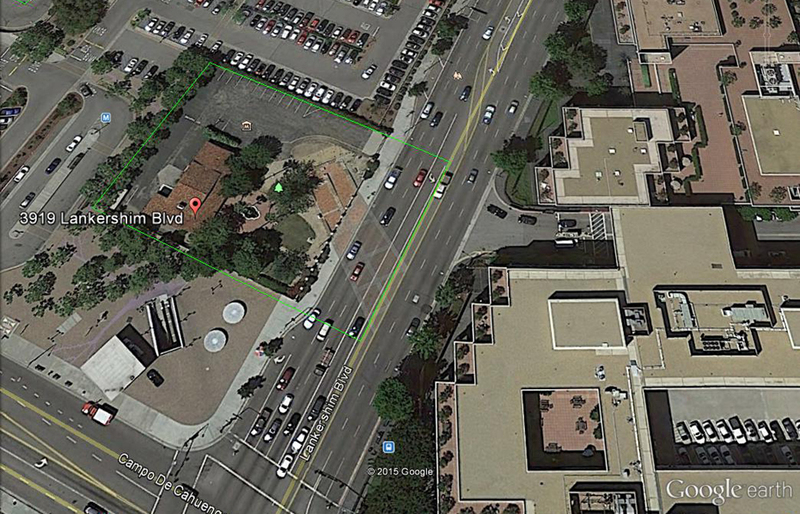 This Google Earth image shows the replica adobe that houses the museum under the red marker. 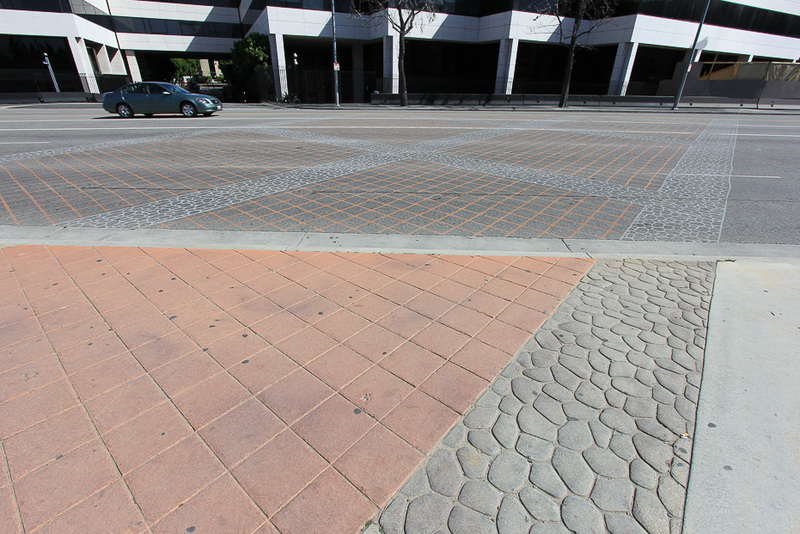 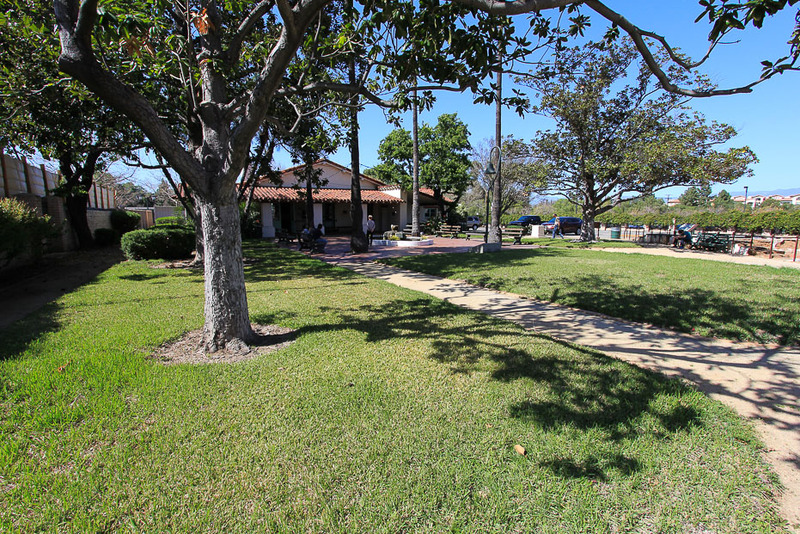 The original adobe's foundation can be seen to the right of the replica building and the portion of the foundation that lies beneath Lankershim Boulevard is marked in the pavement by visible paving stones. 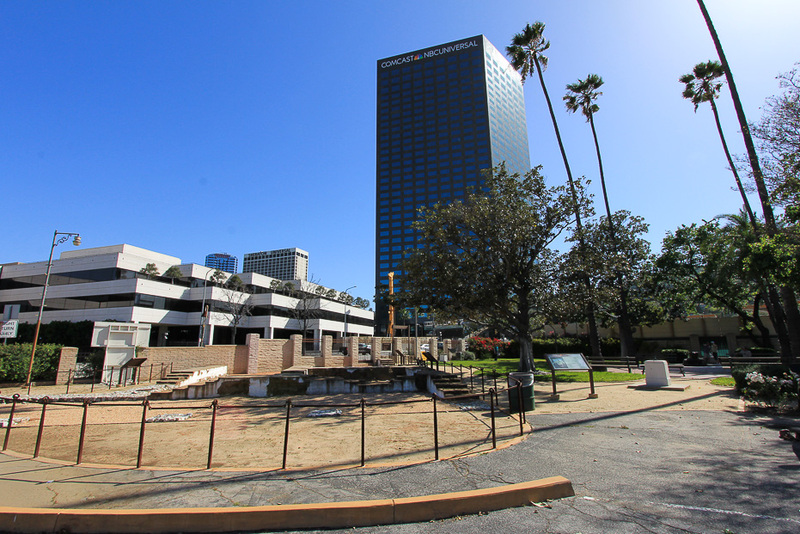 This small, but very historically significant site, literally lies in the shadow of Universal City. 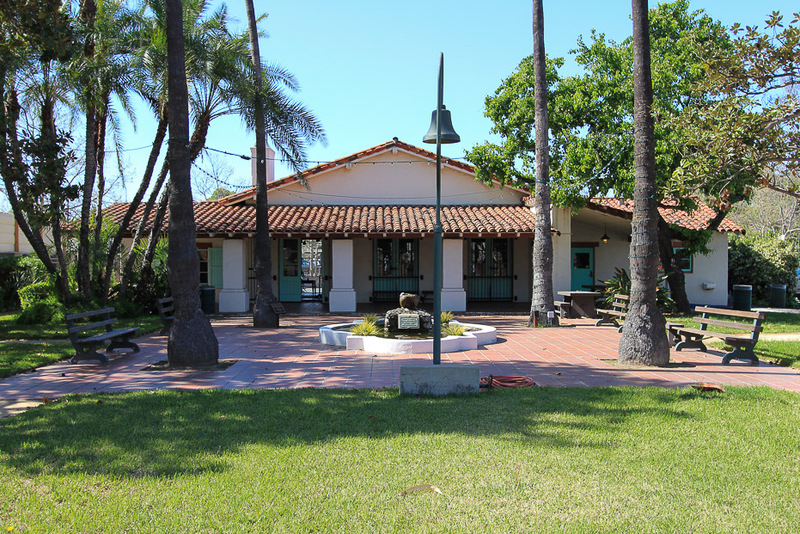 Before the tour, we had lunch at the Granville Cafe in Studio City with some of the Bates clan. 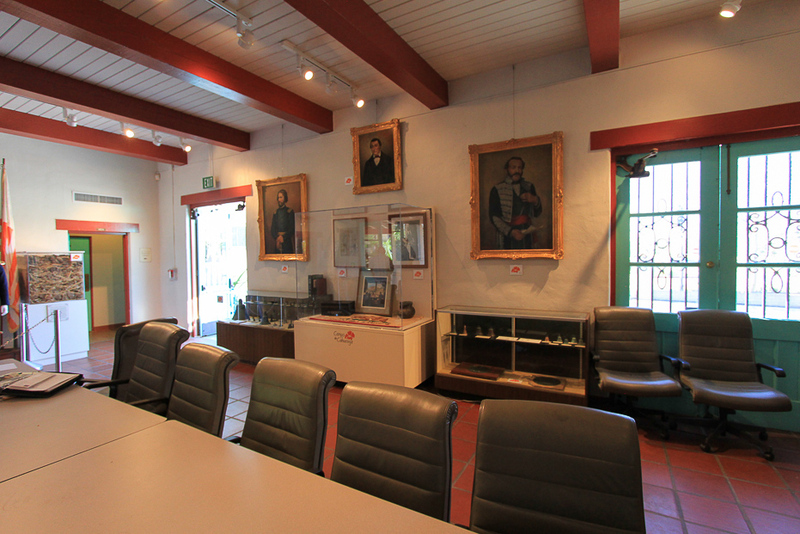 For the complete story and a fascinating account of the Treaty of Cahuenga, Californio Donna Bernarda Ruiz de Rodriguez, Mexican General Andrés Pico, and American Lieutenant Colonel John C. Fremont, follow this link for Hadley Meares' KCET article.